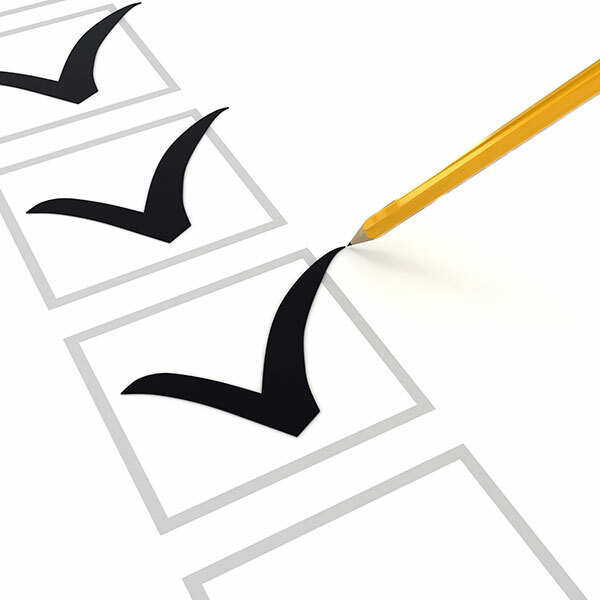 At Superior Heating & Air Conditioning, Inc. we strive for 100% satisfaction in everything we do. We value your opinion and invite you to tell us and others about your experience with us. Please take a few moments to tell us what you think by leaving us a review here on our website or on any of these popular review sites or social networks. Reviews of Superior Heating & Air Conditioning, Inc.
After attempting to have someone come out and repair my recently deceased heating system and receiving less than cordial responses to my request, I contacted Superior. They were extremely positive and responsive to my situation. While others offered to place me on a waiting list and possibly get to me the next day, Superior had technicians to my location within an hour. Ben, the lead technician was courteous, professional and very knowledgable. He had me back up and running the same day. Superior went above and beyond to ensure my system was operating perfectly allowing my girls and dog to remove their extreme mountaineering attire and enjoy being inside the house.. Highly recommend Superior and Ben for any HVAC needs. I AM PLEASED TO WRITE A POSITIVE EVALUATION FOR JOHN D., IN RIC HM OND, KY. HE IS A VERY PLEASANT , OUTGOING YOUNG MAN WHO ALWAYS PERFORMS HIS JOB IN A PROFESSIONAL MANNER. HE IS PUNCTURAL WITH HIS APPOINTMENTS AND KNOWS EXACTLY WHAT TO DO AND HOW TO DO IT. SUPERIOR IS FORTUNATE TO HAVE THIS KNOWLEDGEABLE YOUNG MAN AS AN EM PLOYEE, WHO TAKES HIS JOB SERIOUSLY AND WHO DOES EVERYTHING POSSIBLE TO SAT ISFY HIS CUSTOM ERS. HE IS AN OUTSTANDING MEMBER OF THE SUPERIOR HEATING AND COOLING FAMILY AND THEY SHOULD BE PROUD TO HAVE HIM AS ONE OF THEIR REPRESENTATIVES SERVICING THE COMMUNITY. THANK YOU, JAMIE! MOST FRIENDLY AND PROFESSIONAL SERVICE M AN. EXPLAINED THE PROBLEM IN LAYMAN'S TERMS. MOST APPRECI ATED, ALWAYS REVEICED EXCELLENT SERVICE FROM SUPERIOR HEATING AND A/C. JUST WANTED TO LET YOU KNOW YOU HOW MUCH WE APPRECIATE YOU HAVING OUR A/C UNIT INSTALLED IN TIME FOR VACATION BIBLE SCHOOL. l'M REALLY NOT SURE WE COULD HAVE HELD IT WITHOUT YOUR QUICK, HARD W ORK. THANK YOU ON BEHALF OF THE BEREA UNC. YOUR NICE NOTE PRECEDED MY NOTE , l'M SORRY TO SAY, BECAUSE I MEANT TO W RITE YOU RIGHT AWAY TO THANK YOU FOR THE SUPERIOR SERVICE WE RECEIVED FROM YOU EMPLOYEES LAT MONDAY WHEN OUR NEW HEATING AND A/C SYSTEM WAS INSTALLED. JAMIE IS A PLEASURE TO WORK WITH AND HE EXUDES INTEGRITY. WHEN HE CALLED TO TELL US WHEN THE NEW SYSTEM WOULD BE DELIVERED, HE SAID THAT THE INSTALLERS WOULD BE HERE AT 8:30 A.M. AND THEY WOULD BE THROUGH AT 2:00 P.M. THESE GUYS WERE RIGHT ON TARGET! AND THEY WORKED QUIETLY, NEATLY AND EFFICIENTLY. SO FAR, THE NEW HEATING AND A/C SYSTEM IS HUMMING RIGHT ALONG. THANKS TO YOUR TEAM FOR A JOB WELL DONE. THANKS FOR ATIENDING TO MY PROBLEM SO QUICKLY, ALSO FOR SENDING JAM IE, HE IS VERY EFFICIENT, FRIENDLY AND GOOD LOOKING . JAMIE BOOTS IS AN ASSET TO YOUR COM PANY . HE IS HIGHLY KNOWLEDGEABLE AND ALWAYS DOES AN EXCELLENT JOB. HE ALWAYS TAKES THE TIME TO EXPLAIN HOW OUR SYSTEM PERFORMS AND HOW TO TAKE CARE OF THEM. JUST WANT TO TAKE THE TIME TO RECOGNIZE WHAT A GOOD JOB HE IS DOING. JUST A UTILE LINE OR TWO, TO BRING MY WARMEST THANKS TO YOU! YOUR FRIENDLIMESS AND PROFESSIONLISH WERE WONDERFULL! ABOVE ALL, THANK YOU FOR WORKING WITH ME SO I CAN AFFORD MY NEW UNIT. THIS NOTE IS TO THANK YOU AND YOUR COMPANY FOR YOUR HELP WITH OUR HOM E. YOUR EMPLOYEE (JAMIE) WAS PARTICULARLY ATIENTIVE AND ACCONNODATING. HE WAS PROMPT, COURTIOUS AND THOUGHTFUL. YOU ARE TO BE COMMENDED FOR SUCH AN OUTSTANDING WORKER . THANK YOU VERY MUCH! WE ARE NICE AND COOL THIS EVENING THANKS TO SUPERIOR HEATING AND A/C INC. WE REALLY APPRECIATE YOU ALL, JAMIE, AMY, LAWRENCE AND JOHN!!! YOUR CUSTOMER SERVICE WAS EXCELLENT AND WE ARE VERY GRATEFUL. WE WILL CERTAINLY BE RECOMMENDING SUPERIOR TO ANYONE NEEDING HEATING AND AIR SERVICE. ONCE AGAIN, THANK YOU VERY MUCH! THANK YOU SO MUCH FOR GETIING OUR NEW AIR CONDITIONER INSTALED SO QUICKLY! OUR HOUSE THANKS YOU TOO!! PLEASE TELL THE GUYS WHO INSTALLED IT THAT WE THANK THEM VERY MUCH. I have recently built a log cabin home from the ground up, and of all the subcontractors that I have come in contact with in this project, Superior Heating & A/C, Inc. did everything they promised and more. They were always on time, courteous, and very professional. Mr. Kerns designed a Carrier 2 zone system to meet all of our heat, cool, and humidity concerns that come with a log cabin home. We are very happy with this new system and its operation. We saw the commercial for Superior about the footies they wear and how they remember the little things. Superior lived up to their advertisement 110%. 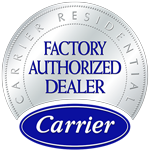 They are the most pleasurable people I dealt with and I would recommend this Carrier system and Superior Heating & A/C, Inc to anyone.